Have you seen all those pink dots around the Sydney CBD? 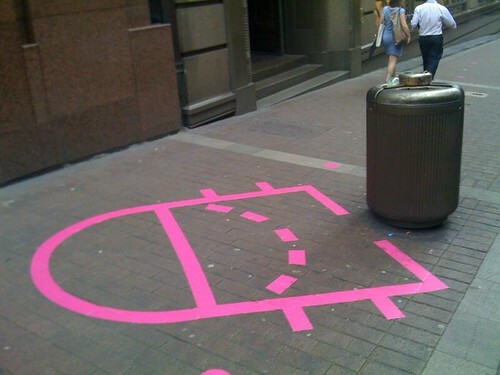 It appears there are pink basketball markings down a pedestrian mall near Wynyard. So if you are in the area after lunch, try a 3 pointer into the bin with your rubbish. This entry was posted in Photos and tagged art, basketball, bin, CBD, photo, rubbish. Bookmark the permalink.